Mr211's Blog: Toy1 My first time Audio DIY ... D/A Box. Toy1 My first time Audio DIY ... D/A Box. 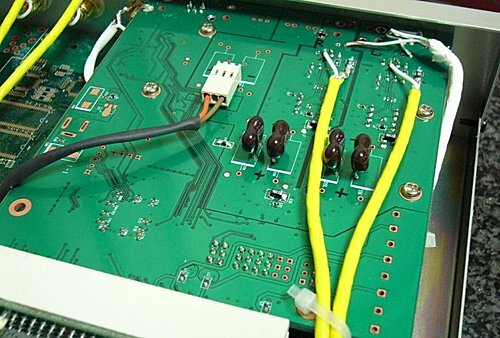 Main PCB is design for Video streaming I just take 19V adpater connect to +/-12 V ,+5V,+3.3V switching supply power to D/A. 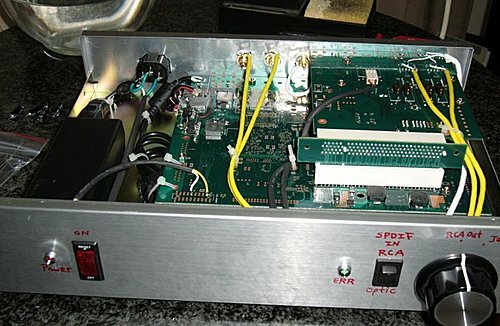 Sub PCB is PCI Audio Card I just take SPDIF signal connect to receiver CS8416 then transfer to PCM feed WM8740 then decode Audio L/R .